The series, as yet untitled, is one of two documentary projects that Winfrey is working on and comes after the Duke's many years of campaigning to break the stigmas around mental illness. "I truly believe that good mental health —mental fitness —is the key to powerful leadership, productive communities and a purpose-driven self," said Prince Harry, who will also co-executive produce the show. "It is a huge responsibility to get this right as we bring you the facts, the science and the awareness of a subject that is so relevant during these times." 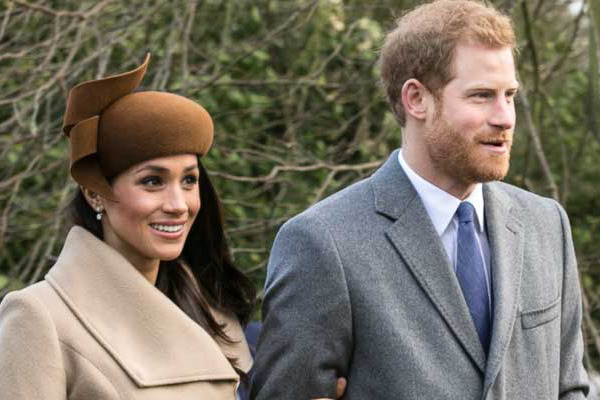 The new series was announced on the Duke and Duchess of Sussex's Instagram account where he explained that the show would be about mental health worldwide rather than solely featuring the UK. "Our hope is that this series will be positive, enlightening and inclusive - sharing global stories of unparalleled human spirit fighting back from the darkest places, and the opportunity for us to understand ourselves and those around us better," he said. "I am incredibly proud to be working alongside Oprah on this vital series." Oprah Winfrey had previously been revealed to be producing two documentary series with the other being "Toxic Labor," about workplace harassment. She's also moving her famous book club to the Apple TV service. The new series on mental health joins an estimated $1 billion worth of programming that Apple has so far invested in. The programming also includes drama, comedy and children's shows. Many of these series, including some details from Oprah about her projects, were unveiled at Apple's March event. The company officially launched its Apple TV+ and Apple TV Channels services, both due to start later this year.